At a member club of Gymnastics Ontario, your child will be coached by fully trained and NCCP certified coaches. They will learn gymnastics skills on state of the art equipment and should they want to compete at the interclub, provincial or even the national level, they will have access to sanctioned competitions with qualified judges. They will also be able to participate in training camps and other province-wide programming. 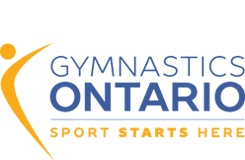 Not all clubs in Ontario support programming in all the gymnastics disciplines. Almost all clubs offer recreational gymnastics, which is a perfect place to start.